Capital Refractories offer range of products for a wide range of copper, bronze and other copper alloys. Capital Refractories offer a full range of coreless induction furnace linings, topping and patching products for a wide range of steels and high temperature alloys. Capital Refractories offer a full range of coreless induction furnace linings, topping and patching products for a wide range of iron alloys steels and mixed melting practices with steels. 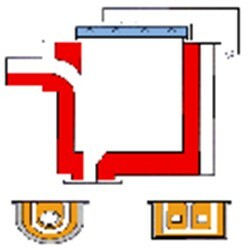 Capital Refractories offer a full range of coreless induction furnace lining, topping and patching products for a wide range of copper, bronze and other copper alloys.